The way we deal with our emotions can have a drastic affect on our health. Our negative emotions specifically can impact our health when dealt with poorly. Emotional intelligence has a larger impact on our happiness and success than our IQ. Studies have shown that children whose parents are going through divorce (an extremely emotionally stressful event) maintain more success in school if they have at least one parent that uses emotion-coaching. Emotional intelligence is the ability to control impulses, delay gratification, motivate yourself, read social cues, and cope with life’s ups and downs. According to Dr. John Gottman in his book “Raising an Emotionally Intelligent Child”, we can teach our children to be emotionally intelligent by becoming emotion-coaching parents. 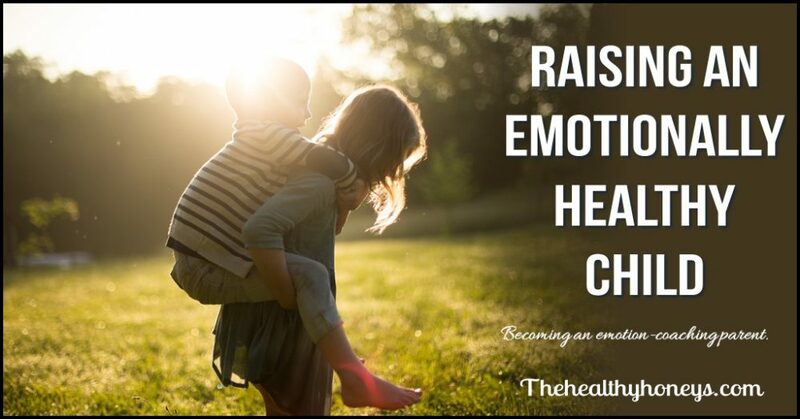 When our child is sad, angry, or afraid emotion-coaching parents take that opportunity to teach the child what we do when we feel those emotions. Many parents discipline strategies are in place because they are trying to get their child to do something…. or not do something. 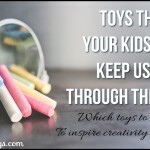 We want them to behave, to sit still, to listen, to clean up their toys. Don’t throw, don’t hit, or yell or throw tantrums. An emotion-coaching parent takes it a step further. They see that behind each tantrum is an emotion and they take the opportunity to teach their child about the emotion they are feeling and healthy ways to deal with it. This not only teaches them they shouldn’t do bad things, but it helps them understand what they should do and that they’re feelings are normal. Emotion-coaching parents validate the emotion and set boundaries. 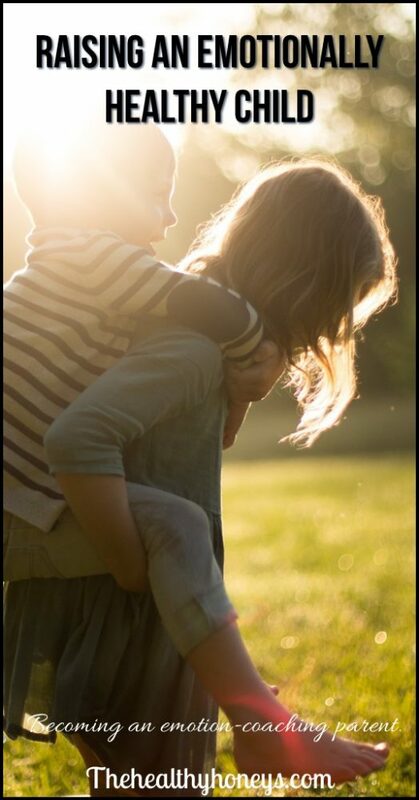 values the child’s negative emotions as an opportunity for closeness. 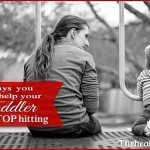 can spend time with a sad, angry, or fearful child without getting impatient. sees negative emotions as opportunities to teach. is aware of child’s emotions even when they are subtle. isn’t confused or anxious when their child shows emotion. respect their child’s emotions and doesn’t laugh it off. If it’s a big deal to the child it is important to talk about. Doesn’t tell their child how they should feel. Doesn’t feel like they have to fix everything for their child. In essence an emotion coaching parent is more concerned about teaching than about controlling behavior. I know for me it is difficult to always be an emotion coaching parent because I have my own ideas about emotions that I need to work through. How I feel about my own sadness, anger, and fear is going to affect how I view my child’s emotions. Take time to meditate, pray, journal, or draw. Keep an emotion log. Take note of your feelings throughout the day and how you deal with them. Recall recent incidents when you experienced a negative emotion. What did you do? Did you call someone? Talk it through? How did you feel about your emotion? Where you ashamed of it? Try to figure out your own feelings about emotions. For instance do you think sadness is weakness? Or anger is destructive? 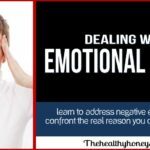 If you feel like you don’t validate your own emotions you can address that. Take time to ponder good ways to express anger, sadness, and fear. On those specifically difficult days when your child is just “in a mood” try to take a moment to just chat or help them feel important. Give your child a “time-in” with you instead of a “time-out”. When they know you care about them they may open up or just need a reminder that you care about how they feel. For younger kids you can watch how they play and what they are acting out with their dolls are toys and even interact with the doll. Barbie may be scared of how you talked to her. When our children experience something difficult it is an opportunity to teach and not a power struggle. We teach them what they are feeling, that it is okay to feel that way, that you can understand them, and healthy ways to express that feeling. We may need to brainstorm what we think are healthy expressions of different emotions. Listening isn’t always waiting for your child to tell you they want to talk but watching for signs of emotions. 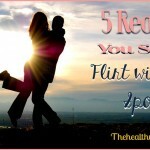 Pay attention to your child’s body language, facial expressions, and gestures. Take a minute to look at your child. How do you think they are feeling and can you see a situation from their perspective? When they express jealousy or anger it is easy to say “don’t get angry, it’s not your turn”, however when we take the time to listen and help them work through their feelings and explain the situation they often come up with their own conclusions and work through the emotion. When you see your child is feeling sad. Tell them they are feeling sad or jealous or angry. This can help them transform this strange feeling into something they can name and understand, making it less scary and more manageable. After identifying how they are feeling you will naturally want to help them figure out the solution. We can still validate an emotion without amplifying bad behavior. After validating the emotion and labeling it, you can still explain that certain behaviors are unacceptable. Their feelings aren’t the problem the misbehavior is. So what would be a better way to express that feeling? You can think of things together. Analyze if it would work in your family and help them choose a solution. Emotion coaching doesn’t have to happen all the time. The more we do it the better we become. Of course all parents will have time when they themselves deal with emotion poorly. Snapping at your child or raising your voice. We can also use our own emotions as teaching tools. When we say sorry for how we poorly dealt with an emotion and explain what we are feeling we can still teach them and maintain close relationships with our children. I would strongly recommend reading Dr. Gottmans book “Raising an Emotionally Intelligent Child” He includes examples and quizes to identify what type of parent you are, and walks you through the steps to becoming an emotion-coaching parent. Mindful discipline is also another great book for this as well. Find it here.